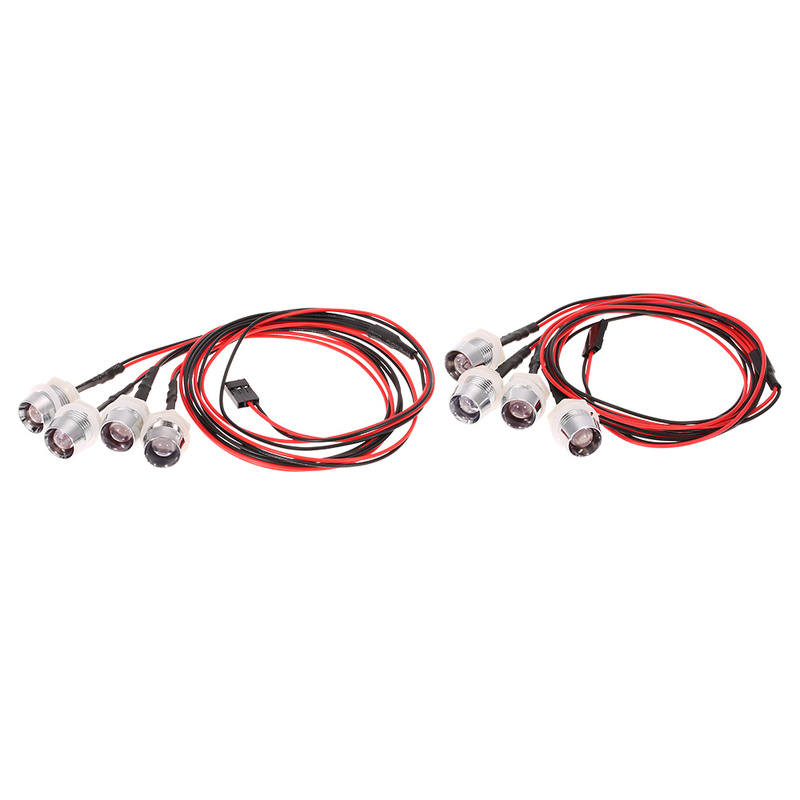 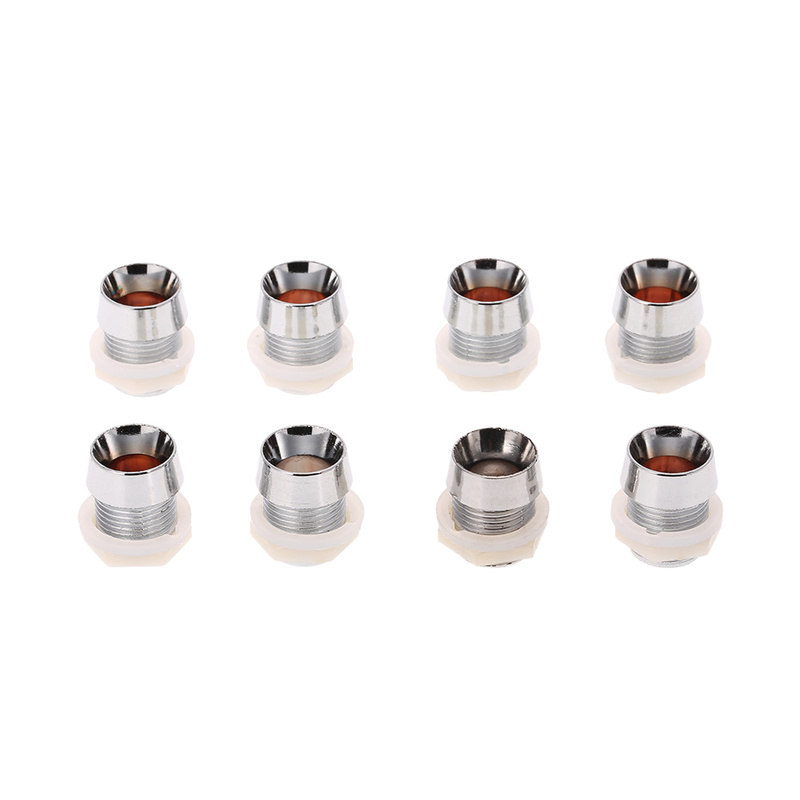 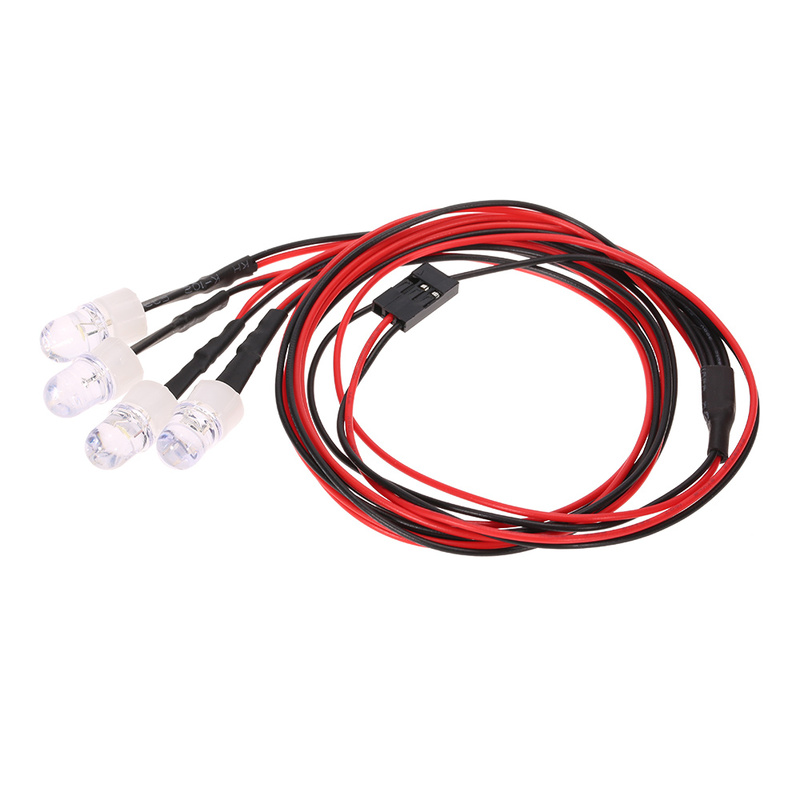 This professional and practical LED lights set is suitable for 1/10 1/8 RC cars. 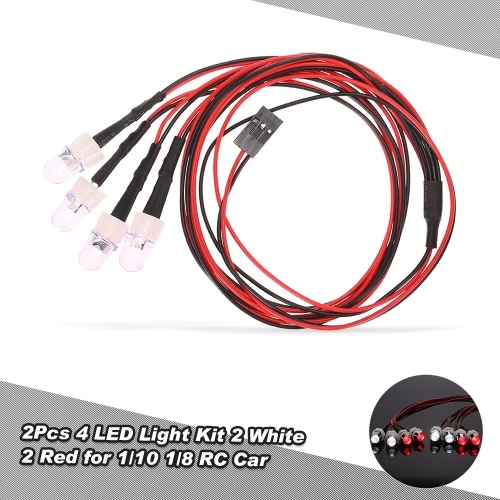 It has two light cables, and one of them have 4 LED lights, which includes 2pcs white LEDs and 2pcs yellow LEDs. 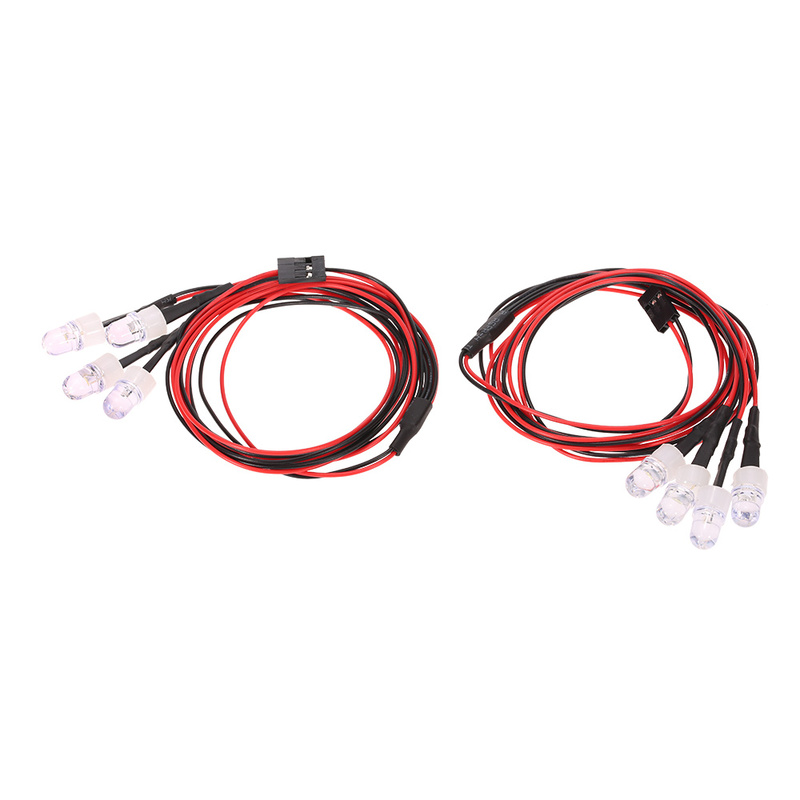 They are powered by the receiver directly, very convenient to use. 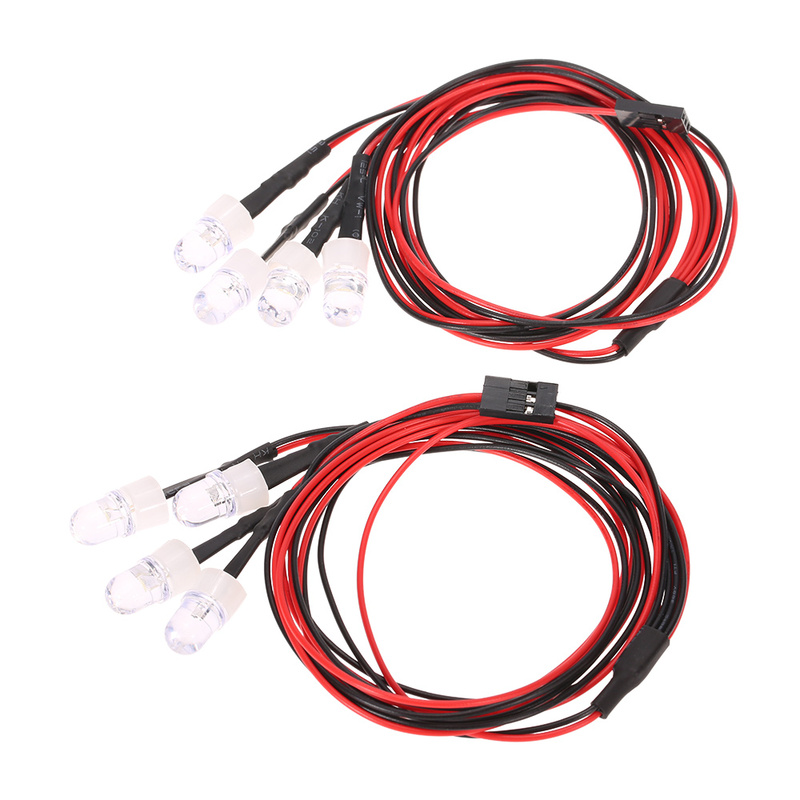 LED size: 8mm white LED and 8mm yellow LED. 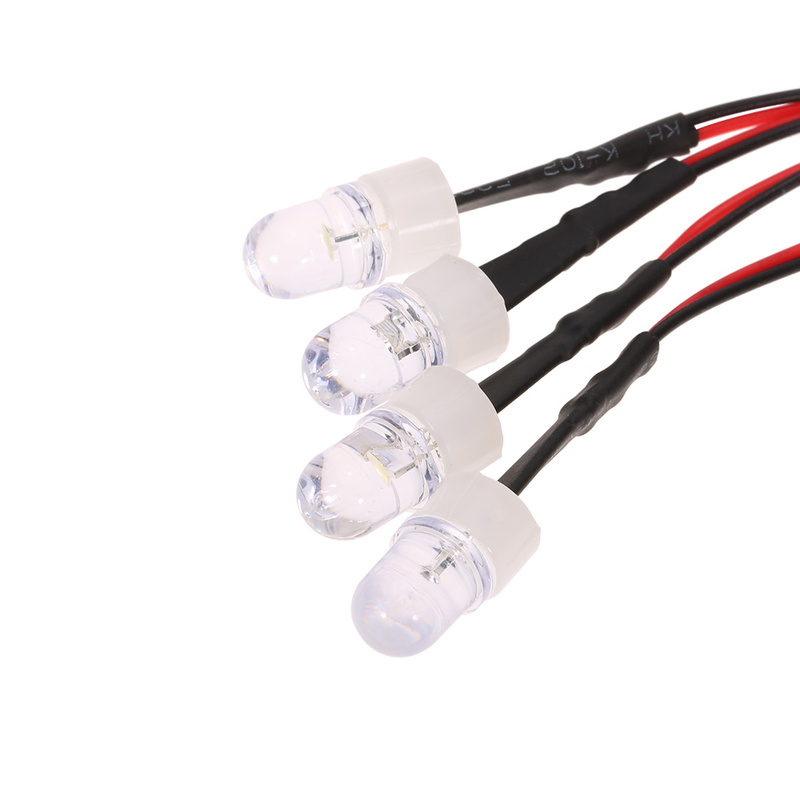 Directly powered by the receiver, for convenient to operate. 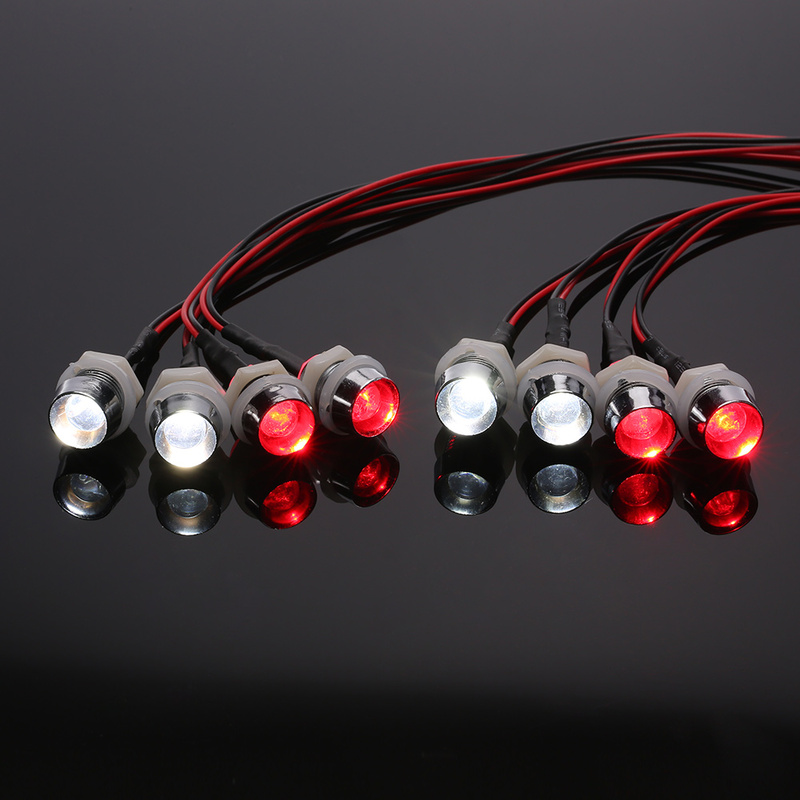 Including 8pcs LEDs: 4pcs white LEDs + 4pcs yellow LEDs. 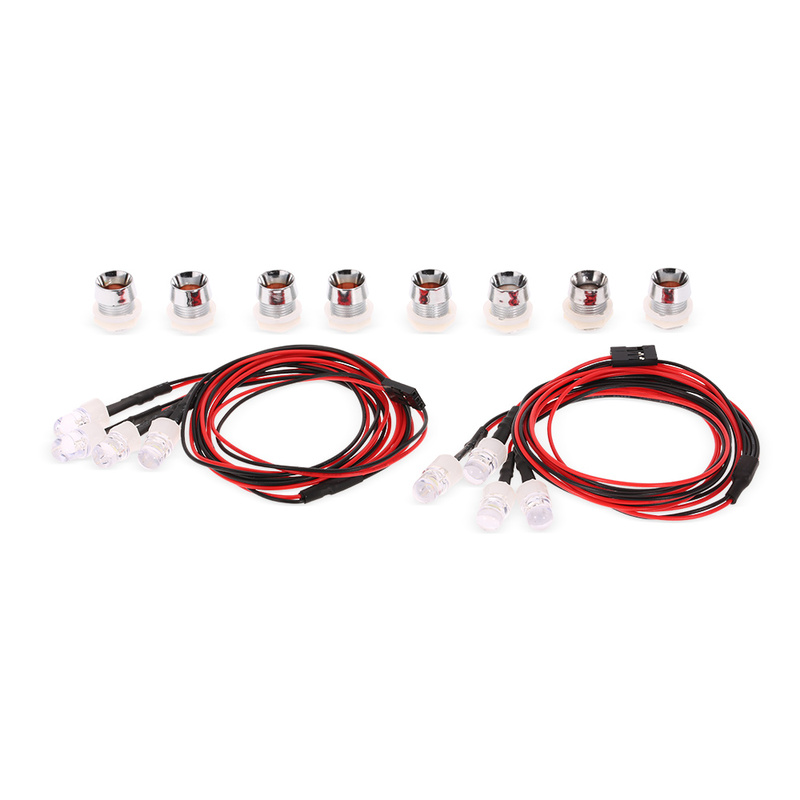 Suitable for 1/10 1/8 Traxxas HSP Redcat RC4WD Tamiya Axial SCX10 D90 HPI RC Car.